A Fabergé egg is a jeweled egg (possibly numbering as many as 69) created by the House of Fabergé. Virtually all were manufactured under the supervision of Peter Carl Fabergé between 1885 and 1917. The most famous are those made for the Russian Tsars Alexander III and Nicholas II as Easter gifts for their wives and mothers (though these were not the only gifts they gave for this occasion). The House of Fabergé made 50 such “Imperial” Easter eggs, of which 43 have now numbered as extant. Two planned for Easter 1917 were not delivered due to the Russian Revolution in which the Romanov Dynasty was overthrown and all the members of the imperial family executed. 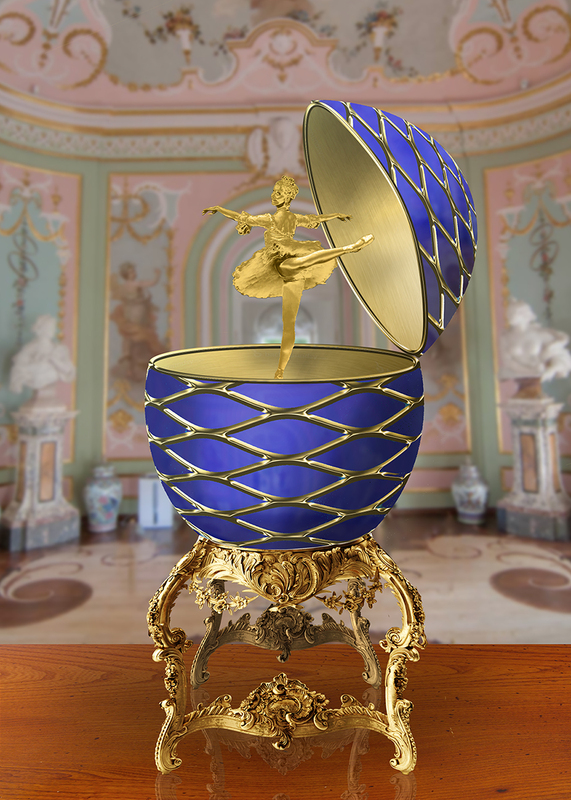 The first Fabergé egg was crafted for Tsar Alexander III, who had decided to give his wife, the Empress Maria Fedorovna, an Easter egg in 1885, possibly to celebrate the 20th anniversary of their betrothal. Although there is no official record of the Tsar’s inspiration for it, many believe that he was moved by an egg owned by the Empress’s aunt, Princess Vilhelmine Marie of Denmark, which had captivated Maria’s imagination in her childhood and of which the Tsar was well aware. Known as the Hen Egg, the very first Fabergé egg is crafted from a foundation of gold. Its opaque white enameled “shell” opens to reveal a matte yellow-gold yolk. This in turn opens to reveal a multicolored gold hen that also opens. The hen contained a minute diamond replica of the imperial crown from which a small ruby pendant was suspended, but these last two elements have been lost. 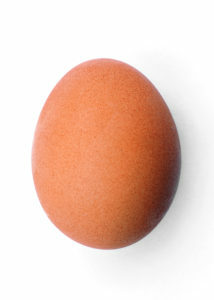 Could I make a Faberge Egg out of this image of a hen’s egg? I retained the egg texture as part of the final composition. Lauren Cuthbertson is a Principal Dancer with the Royal Ballet. One of her principal roles was that of the Sugar Plum Fairy in Tchaikovski’s ballet, The Nutcracker. A gilded version of her was placed into the egg. This blue lacquer finish effectively dispensed with the original egg entirely as it was used purely to establish the shape.